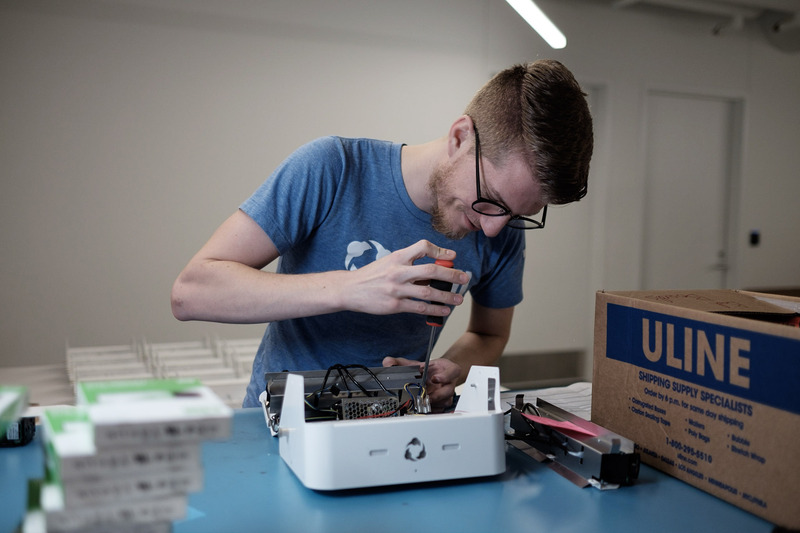 Charles Briggs, industrial design specialist with Hudl, assembles a Hudl Focus. The Focus was developed through a prototype process that utilized Nebraska Innovation Studio. 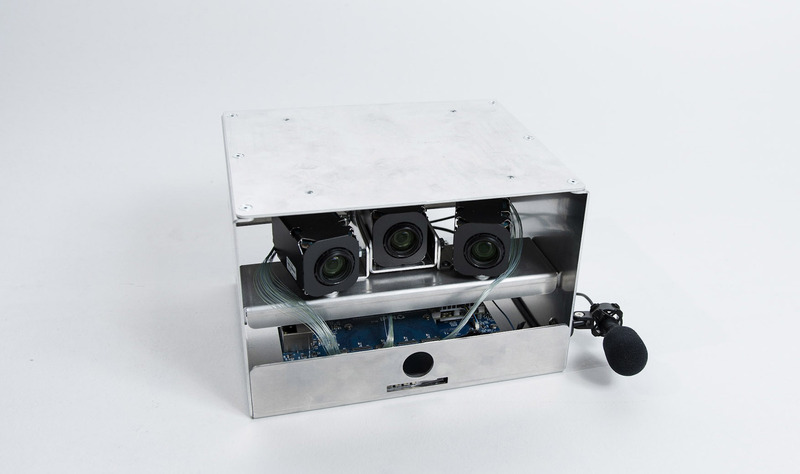 Hudl has relied on the studio for prototyping many hardware components. Since opening in 2015, Nebraska Innovation Studio has been a boon to Nebraskans looking to create new businesses, products and ideas. The 3D printers – one of the most popular tools for innovators – are nearly constantly running. Rhodes is launching a company, Build-a-Pint, and hopes to pitch his product to the Shark Tank production team when it visits Nebraska in April. That would not have been possible if he’d been dependent on finding a firm to work with him on the prototype process. Industrial design specialists at Hudl also have bypassed the typical prototyping process by utilizing Innovation Studio. Charles Briggs, who graduated from the University of Nebraska-Lincoln in 2017 with a degree in mechanical engineering, spends several hours a week at NIS trying out different designs for Hudl hardware products. The company is preparing to launch its most recent product, Hudl Focus. Briggs said NIS was integral in bringing the Focus to market in such a short amount of time. Hudl Focus is a high-definition video camera enclosed in a case with three sensors that guide filming. The Focus is installed in a gymnasium and then runs automatically – no operator needed. The Hudl Focus prototype was tested in high school gymnasiums. The plastic fittings for the sensors, along with other components, were made at Nebraska Innovation Studio. The laser cutter is also a popular tool for entrepreneurs. Chloe DeCoito, a 2018 graduate in textiles, merchandising and fashion design, became familiar with the studio as an undergraduate. In February, she officially launched her online business, Eunice, which sells accessories DeCoito designs and makes at the studio, along with vintage apparel. 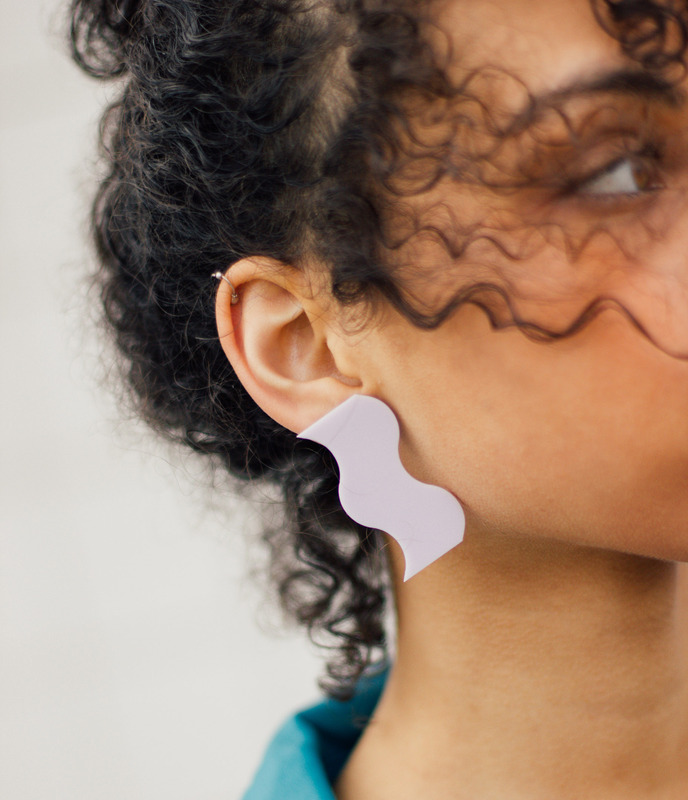 “After graduating, I knew that I wanted to continue working at the studio using the laser cutter, so I decided to experiment with jewelry and accessory making, which has turned into my full-time business,” she said. Chloe DeCoito launched her online business, Eunice, offering a variety of accessories she makes at Nebraska Innovation Studio. DeCoito said she’s working on expanding her offerings, and having Innovation Studio makes it possible. Other tools have assisted in bringing success and ingenuity to Nebraskan companies, as well. The windows looking out from the Club suites in Memorial Stadium were recently modernized by Glass Edge. The improvements were based on an idea Glass Edge project manager Chad Bloomquist was able to develop using the 3D scanner at the studio. The ability for entrepreneurs to get products and businesses off the ground directly impacts Nebraska’s economy. In a recent Brookings Institution report, Nebraska was second in the Heartland — an area encompassing states from North Dakota to Oklahoma and east to Ohio and Tennessee — for growth in jobs at young firms and the fifth-fastest nationally with 2.2 percent annual job growth at these companies between 2010 and 2016. The report illustrated the importance of entrepreneurs in rural economies. In the Heartland area reviewed by Brookings, Nebraska was surpassed only by North Dakota, which saw its economy assisted by oil exploration in the Bakken Formation. With the opening of a machine shop before the end of 2019, David Martin, director of the studio, said creation is just getting started.